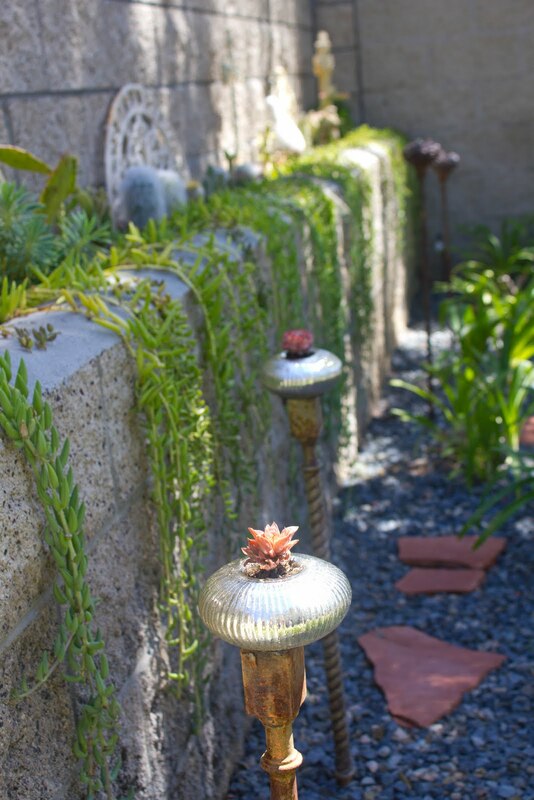 Kathryn, who lives several doors down from me in Laguna Beach, said she was never a gardener. But over the years, she grew frustrated with her overgrown, unattractive backyard. 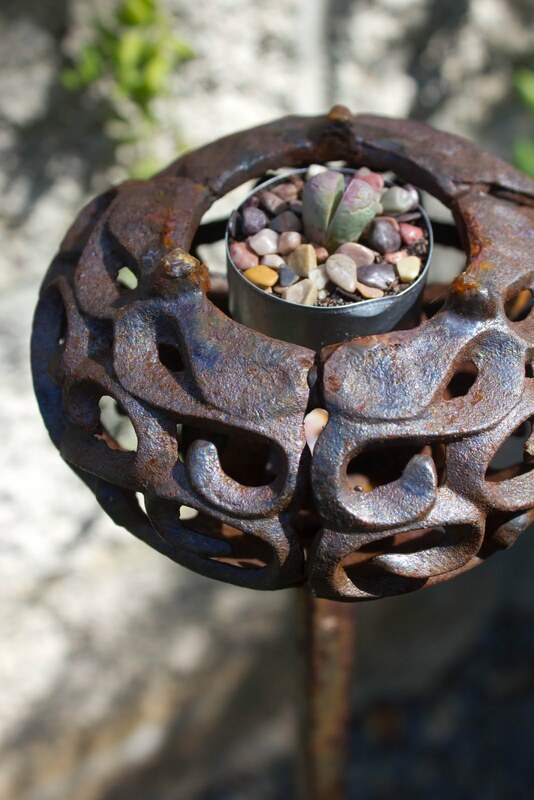 This is one of her first “plants,” in what she calls her “wrought iron” garden. The north end was particularly ugly, she said, since it was shady and the drainage was poor and she couldn’t get anything to grow. One day, however, Kathryn started adding wrought iron pieces she found at local architectural stores. Then she started popping in plants that caught her fancy. 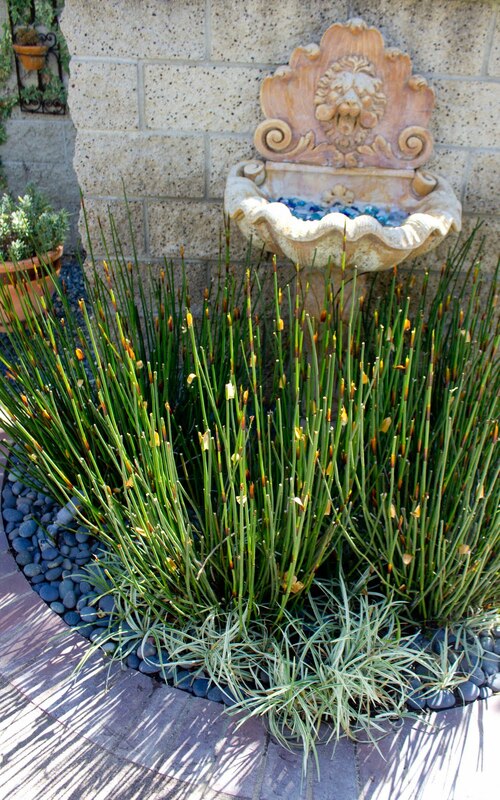 Before she knew it, she had pulled out and re-designed her entire yard. Kathryn, a former lawyer with two grown children and a travelling husband, has found the garden a meditative retreat during her transition to empty nesting. She says working here is the one place where she can focus her over-active mind and find a sense of peace. 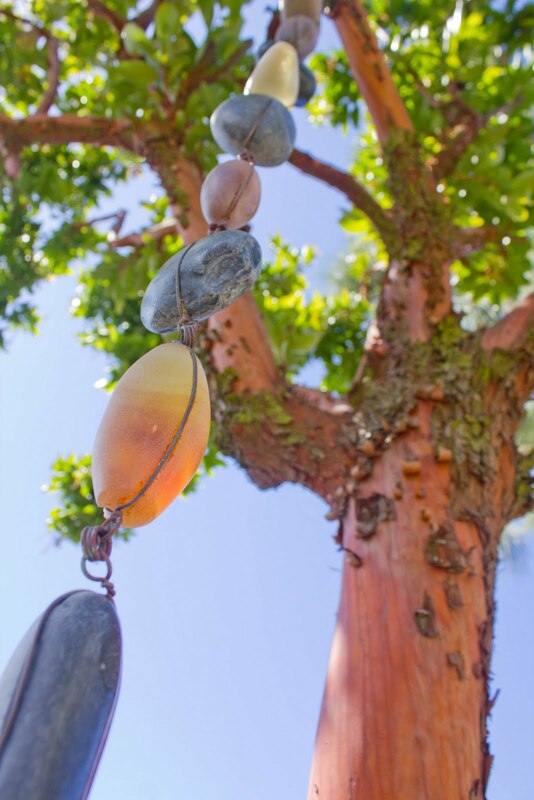 Kathryn, who grew up in Boulder, Colorado, has several flagstones set up on end that she says remind her of the famous Flatiron rock formations in her hometown. Her little poodle, Petie, also is buried here. Kathryn said succulents were the first plants she had success growing. And being very smart, she stuck with them. I can’t say there’s any one style that defines her garden. 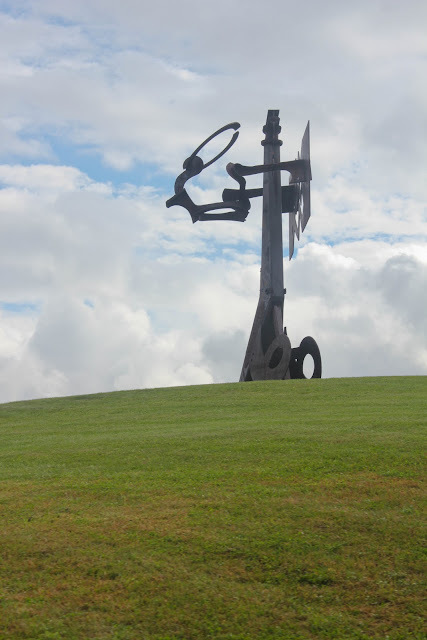 Maybe a mix of classic French and European art and design, with a little Asian and contemporary, as well. I actually have no clue. But I like the mix. 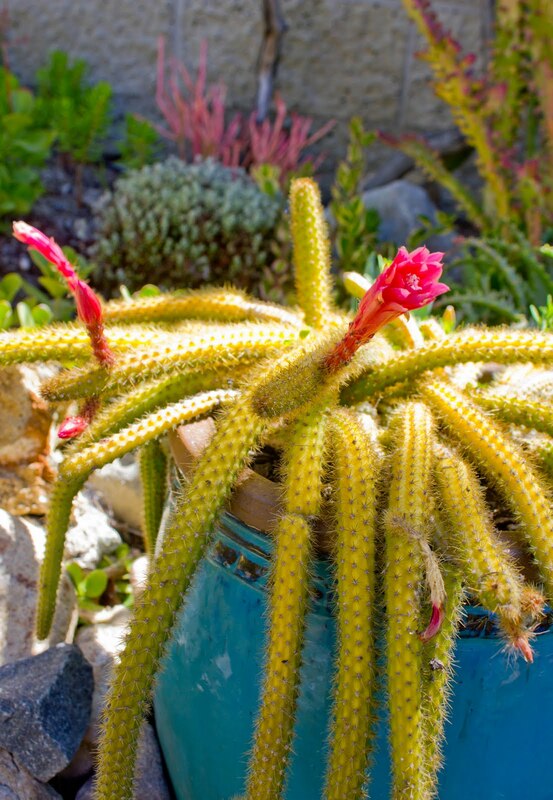 She must have at least a hundred different types of succulents. Here’s a long view of the south side of her yard. When there are so many exciting details, I tend to get drawn into the minutiae and forget to share the larger context. 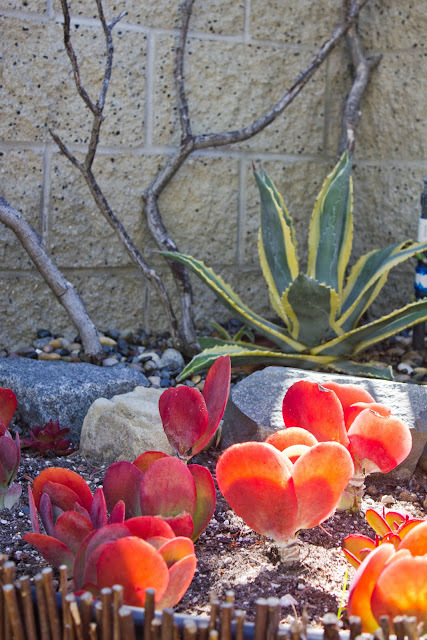 The sun, which shifts over the garden all day casting dappled shadows everywhere, was hitting these succulents and setting them aglow. 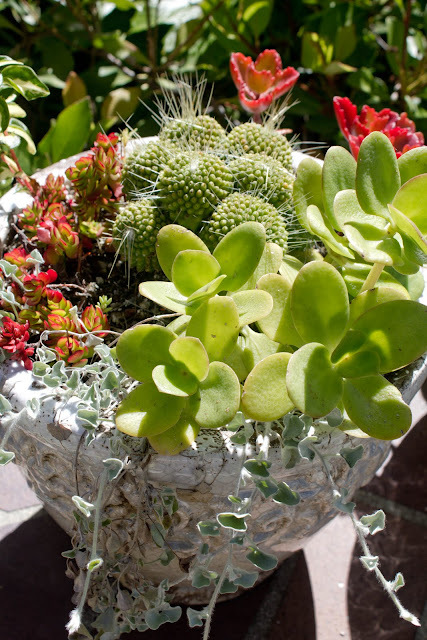 Succulent Container Gardens, by Debra Lee Baldwin. 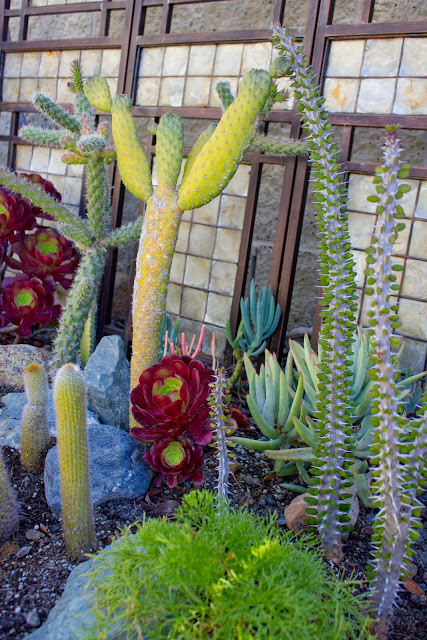 Kathryn learned that her cacti had more impact when grouped together like this. Although she’s learned the value of continuity, Kathryn’s not afraid of a splash of color. Check this out. 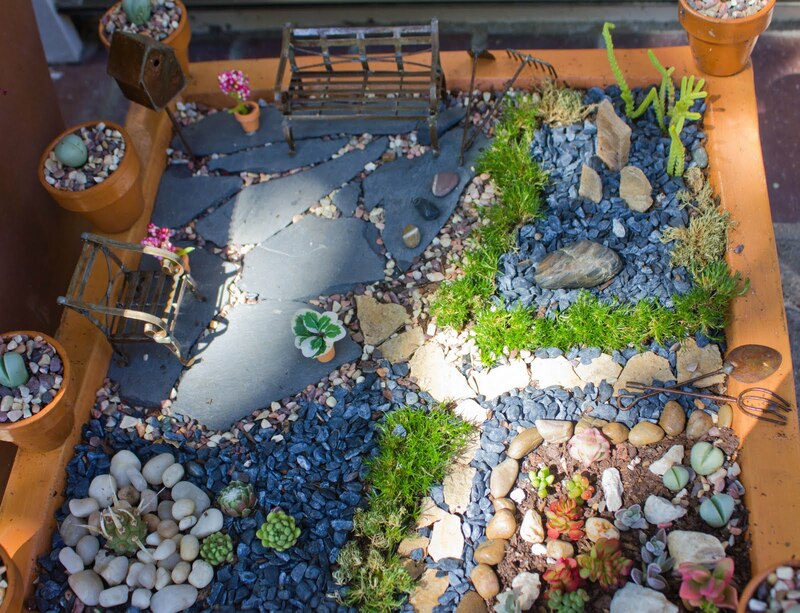 Kathryn even made a miniature version of her garden in this planter. 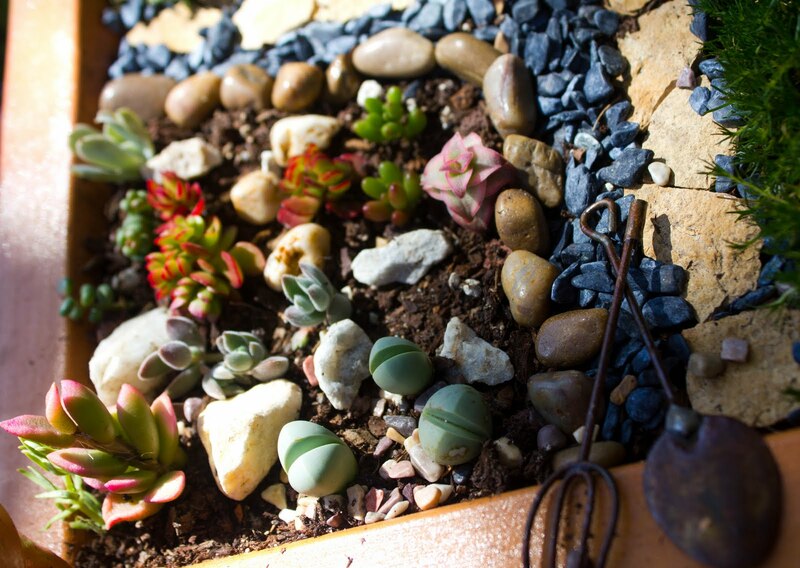 Those succulents in this mini-garden are no bigger than a dime! 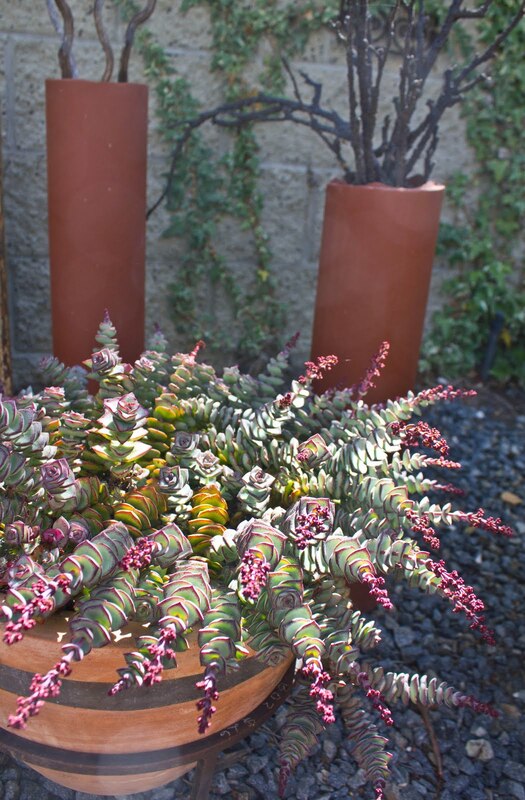 Her pots were as varied as the plants. All unique and exquisite in their own way. 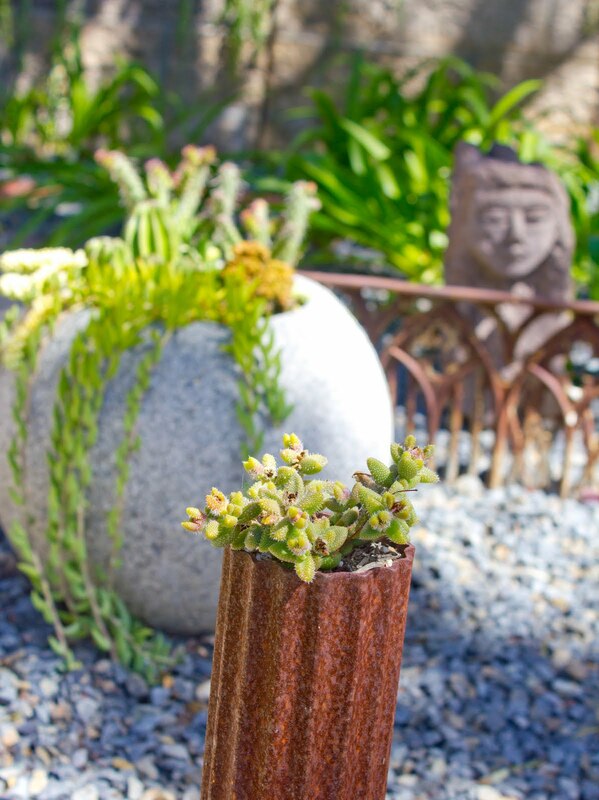 The two sculptural posts behind this planter are basalt rock, which is common in the California Sierras. This is a strawberry tree, and Kathryn’s garden played off the orangy red hue of the amazing trunk. 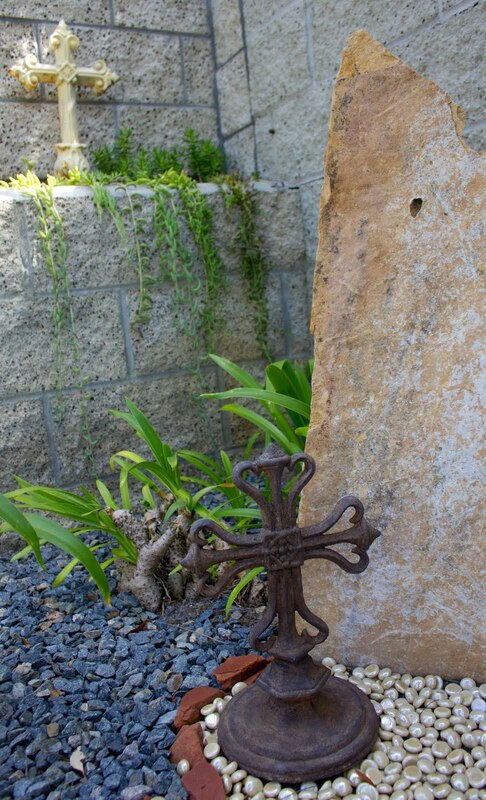 This little vignette was tucked in the side yard. Kathryn had painted a group of tree limbs red. 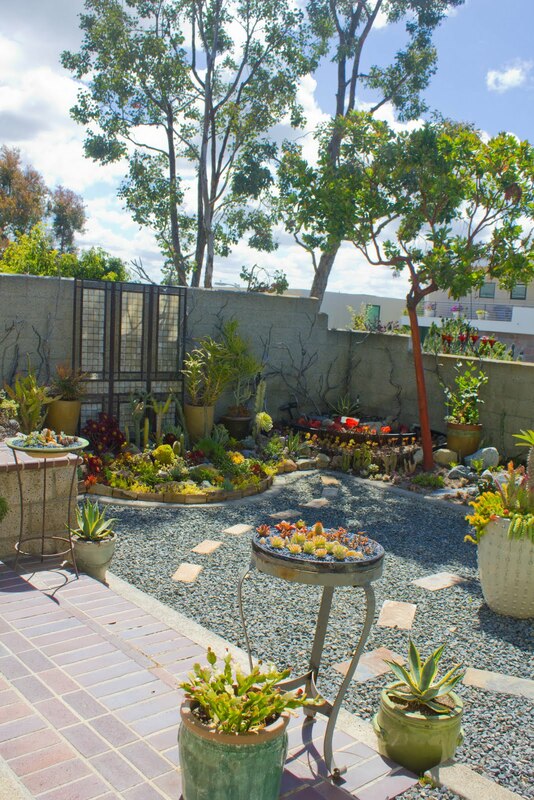 Another wide shot of the south side of her garden. 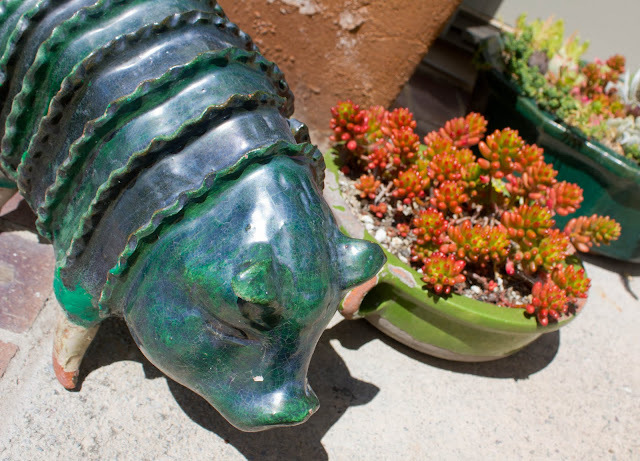 Someone was bringing this little ceramic piggy to a popular cafe, know as the Zinc Cafe in Laguna Beach, and Kathryn said she bought it from him before he got inside the store. 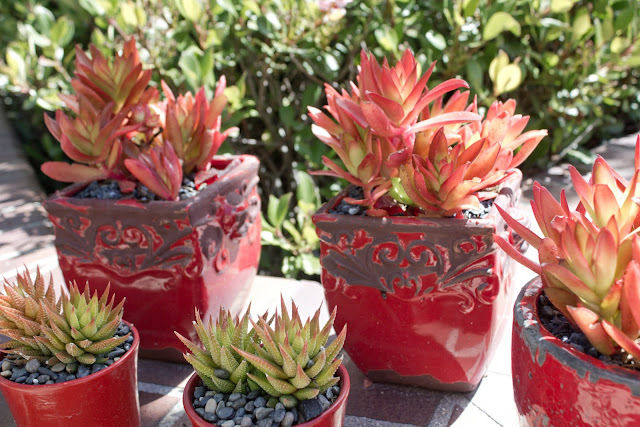 Kathryn said it took her awhile before she learned to pair like colors of succulents with their container colors. When I saw this cylinder pot, I asked Kathryn where she found it. (Love the modern lines.) She told me Ikea. Of course! 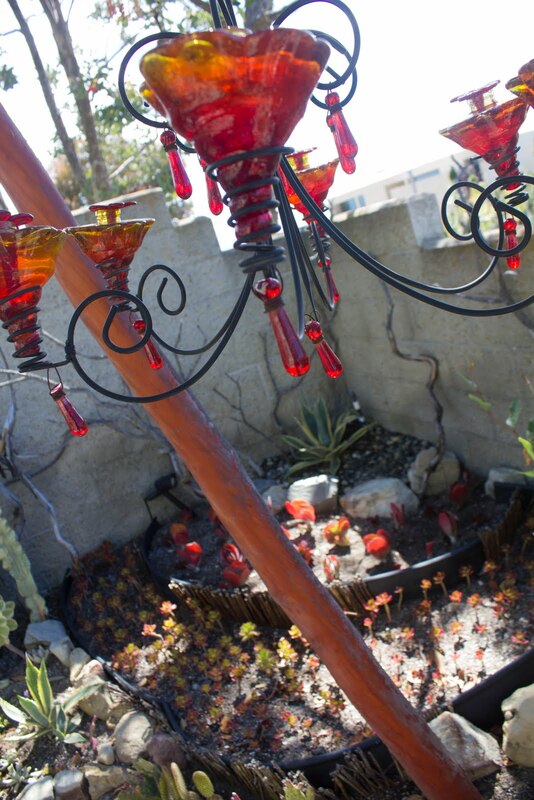 This is back in her “wrought iron” garden. This is an old culvert she found at an architectural remnants store. 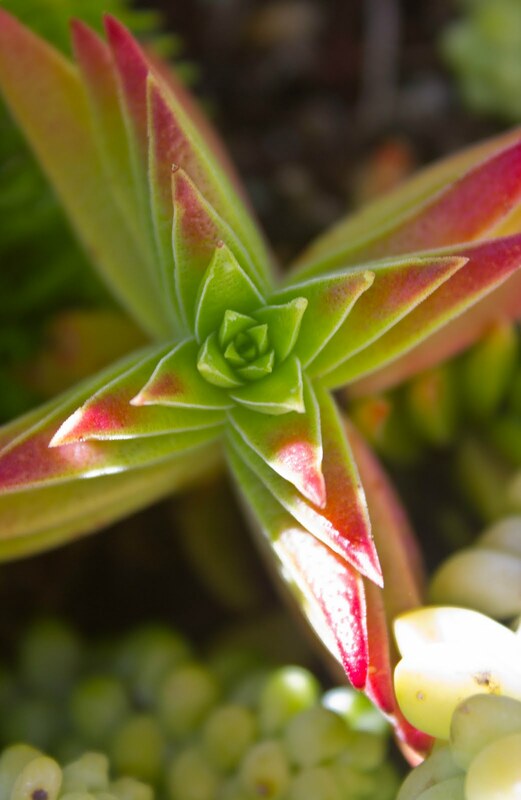 From what I can tell, Kathryn has discovered that she not only is a competent gardener, but she has the eye and passion of an artist as well! 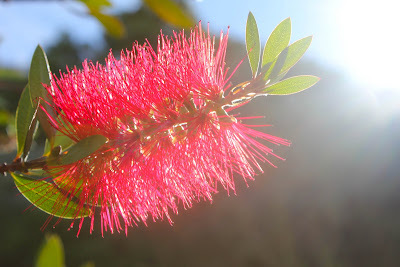 Next Post: Have You Found Your Inner Garden? What a great collection! 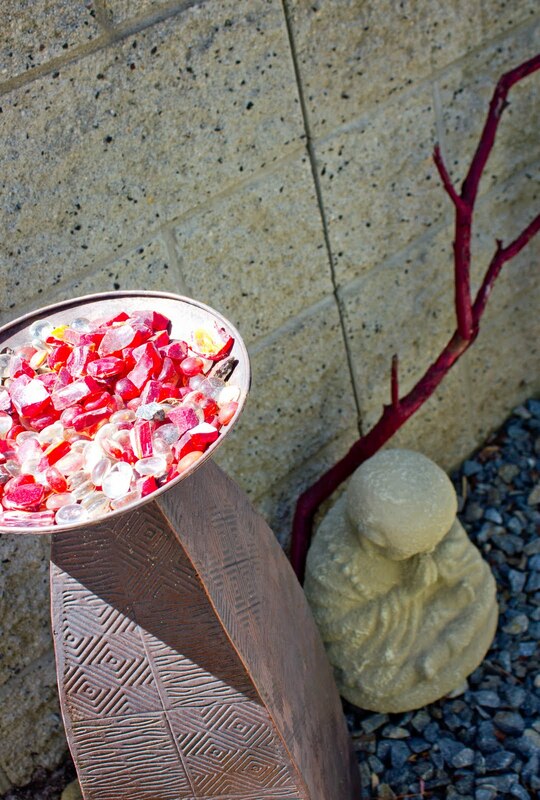 and the pots and sculptures! I'm totally in love with that iron piece in the first picture, it's beautiful! I love all the shots, and I thank you for the wide shots. Several photos into the post I started to think: "This looks great, but what does it look like as a whole?!" It looks just as good as a whole as it does close up. I really like all her pottery, especially the old(?) 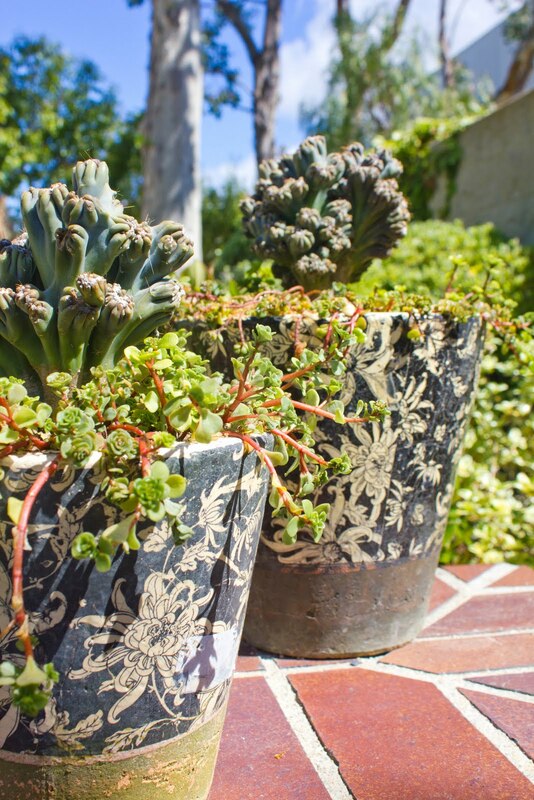 black pots with the beige floral pattern. I'm completely smitten with the miniature garden! 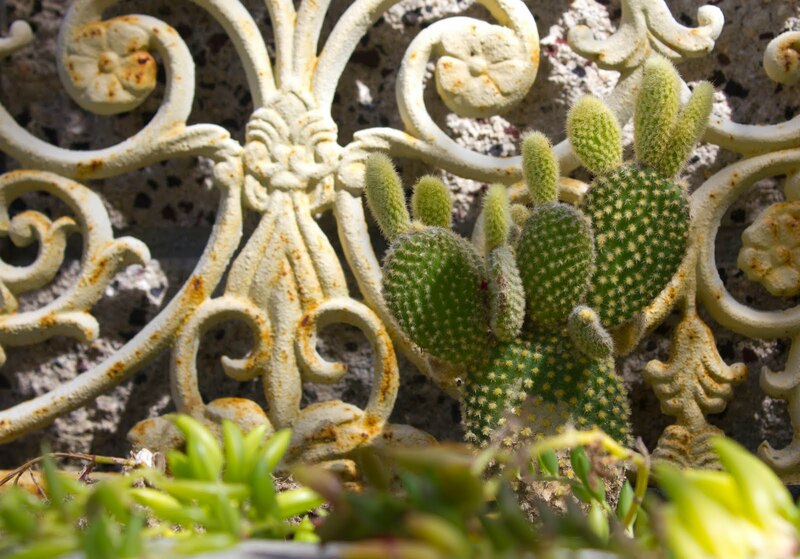 That attention to detail is what makes our gardens so special. Nice work, Kathryn! 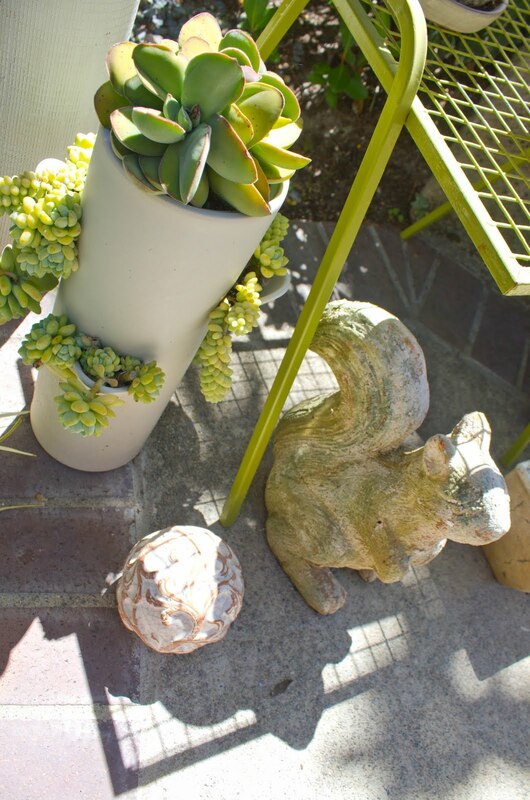 What a playful, joyful space Kathryn has created full of intriguing pieces. That ironwork in the first photo is a grabber! Hats off to Kathryn ! What a beautiful and unique garden . I think Kathryn has done incredibly well despite being a 'non gardener' 🙂 And that miniature garden/container is such a cool idea! 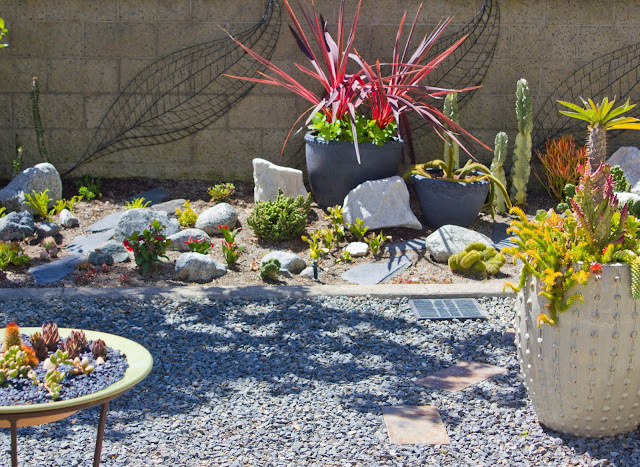 What a beautiful, eclectic garden! Lot's of influences, but it all jives together nicely and all the color is warm and interesting. 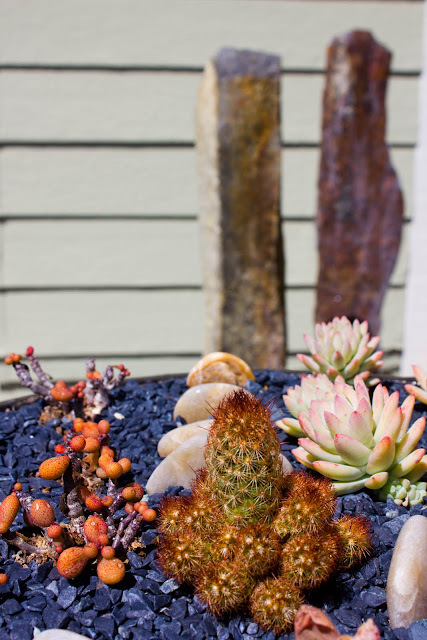 Succulents and cacti are such a cool plant medium to work with and they are so easy to care for, and drought tolerant. Hi, i am new here, just followed your comment from Mark ang Gaz. I first thought you are from here in the country as we have a Laguna province. Those succulents are really beautiful and well kept healthy, the colors are stunning. 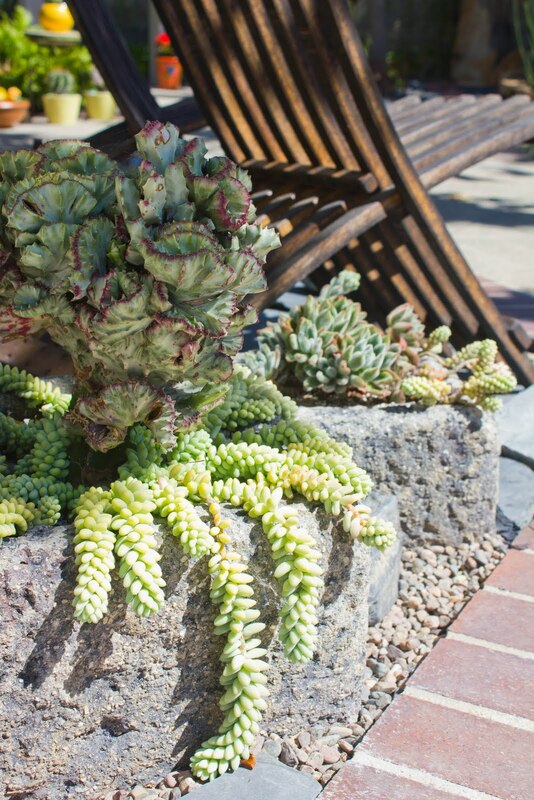 I dont like planting succulents because they tend to be invasive here, but that doesnt mean i dont like them. Beautiful. Very nice garden. The Arbutus gives the area some height and variety–another might be a nice addition. So many cool things, but that chandelier and that little green pig have completely won the prize in my book ! Awesome! It's so great to see so many designs and ideas so different from my own usual ideas…great inspiration! Great post! I found it through facebook. 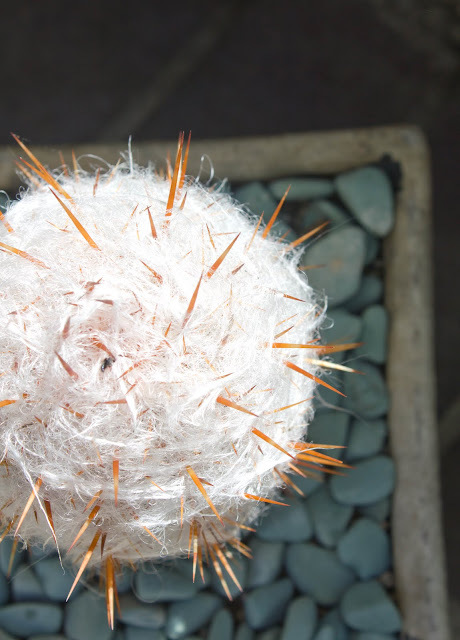 I will repost our our Blooming Desert facebook page.